The New England Healthcare Engineers’ Society is pleased to announce the continuation of the Chapter Leadership Award. 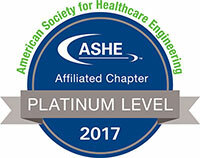 This program has been established to recognize leadership at the NEHES’ state chapter level, promote leadership on a regional basis, including possible board participation at NEHES, and to provide an introduction or additional exposure to the American Society for Healthcare Engineering (ASHE). To encourage chapter participation in the ASHE Emerging Regional Leader program. Award announced and the recipient introduced at the Fall Conference. Recipient(s) will receive: A plaque, press release, and recognition in the NEHES newsletter commemorating their achievement. Complimentary NEHES and ASHE membership for the following year. Each of the 6 NEHES state chapters should nominate one person annually. Of all the submissions, one nominee will be chosen for the annual NEHES Chapter Leadership Award. To be eligible for this award, the candidate must be a current active member of their state chapter and NEHES, (and must maintain their membership the following year to qualify as a possible NEHES board member) be currently employed in a facet of healthcare facility operations, demonstrate leadership skills through their workplace and chapter efforts, and through their commitment to the field of healthcare facility management. After a state chapter candidate is selected the following supporting documentation can be submitted by the State Chapter Representative or to the NEHES Recognition Chair. A letter of recommendation from a chapter officer that outlines the reason for the nomination,leadership qualities of the candidate, and examples of their contributions to the chapter and healthcare facility management. A high resolution color photo (electronically). The candidate’s current professional resume.